Every holiday, I’m always looking for fun ways to celebrate the season. And because I’m such a book nerd, I thought what better way than to find some easy peasy bookmarks I could make myself. As I was looking for FREE Valentine bookmark printables, I can across a darling Valentine bookmark printable from Positively Splendid. The shape reminded me of the shape of paint chips, and I thought to myself…. hmmm… I wonder how paint chip bookmarks would look. My then 6 year old and I made them for his classroom’s Valentine’s Day party. They were such a crazy hit with the kids, we’ve made them for multiple kids’ parties since. And while we made them for Valentine’s Day, you could easily make them for Christmas, Easter, Halloween, you name it. All you would need to do it pick an appropriate color pattern to fit the mood of the season. This year, rather than just handing out the bookmarks, we used them as the perfect Valentine’s Day class cards. I just had the boys use felt-tip pens to write a message and their names on the back. Personalized and handmade! 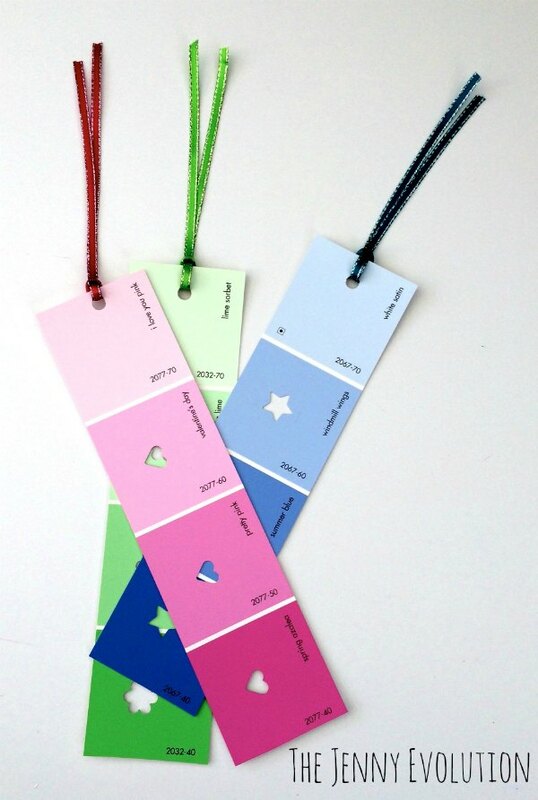 Making your own paint chip bookmarks is actually rather easy and fun. First, punch a hole close to the top of the paint chip. This is where you will add your ribbon. Next, punch out the design you want. As you can see, I have a heart craft punch specifically for Valentine’s Day. But we mix them all up to have fun. After that, cut your ribbon. I usually cut out about 6 inches, but you can do more or less depending on how long you want the ribbon to be at the top. To secure the ribbon, fold it in half. Thread the center of the ribbon through the hole to create a loop. Take the two ribbon ends that haven’t been threaded through and place them through the open loop. Pull the ribbon ends to tighten the loop. 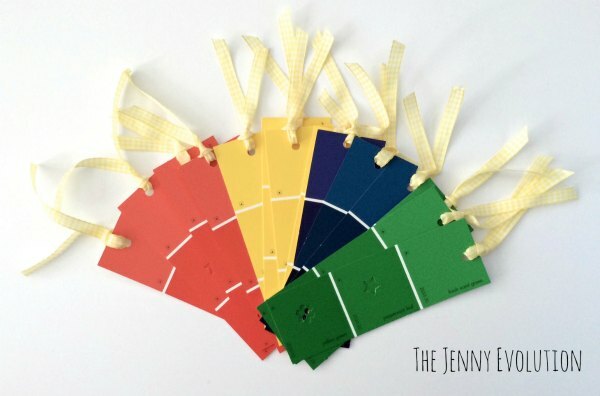 Even though we originally made these paint chip bookmarks for Valentine’s Day, you could easily make them for Christmas, Easter, Halloween, you name it. All you would need to do it pick an appropriate color pattern and paper punch to fit the mood of the season. Can you guess what bookmark is my favorite and is currently marking my place in my latest read? Yep! One of the first paint chip bookmarks we ever made. Thanks! We had loads of fun making them, which we’ve actually been doing for the past couple of years. I even have the original one my boys made — still use it as my own bookmark. Thanks, Michelle. We do love making these as a family. Such a simple yet great idea. I like the part about punching shapes into them, which makes them more interesting. Thanks for sharing this diy. We love making these! We started doing it a couple of years ago… but of course am just now getting around to actually writing it for the blog. We make these for many of the school parties to ahnd out… which is the best part! I love this idea! 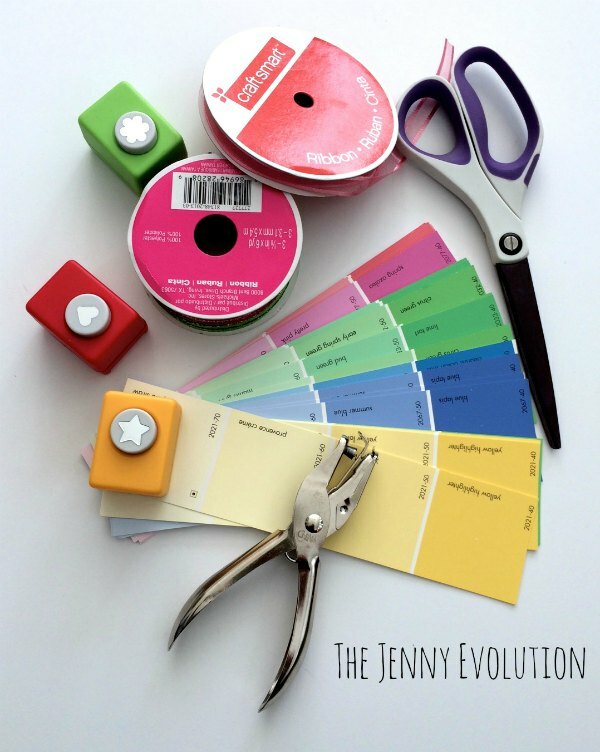 It’s adorable, simple to make and a great way to recycle paint chips! Thanks. We do have fun. And I have to admit…. I’ll go to the hardware store just to grab some paint chips when we need ’em. These are adorable! Totally sharing. 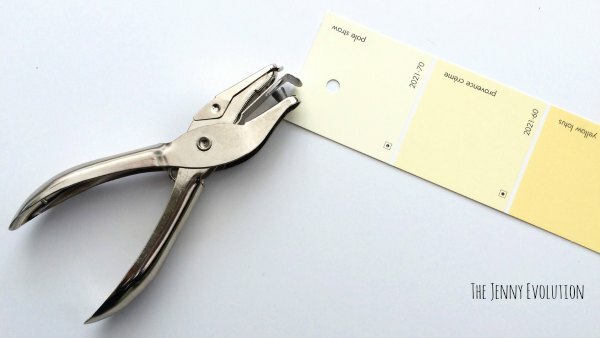 My father used to work for a printer that made paint samples, so he always told us to go into any and EVERY paint store and grab handfuls of these things to keep people working! Not to mention, these are totally cute! That’s a great story 😀 And yes, I do go into our local hardware store and take paint samples so we can make these. Keep those people working! Perfect! I love paint colors and tend to pick up a massive quantity of paint swatches from Home Depot. And the colors are all so pretty, that I cannot waste them. I have used them as bookmarks before, but haven’t thought to modify them to look this way! 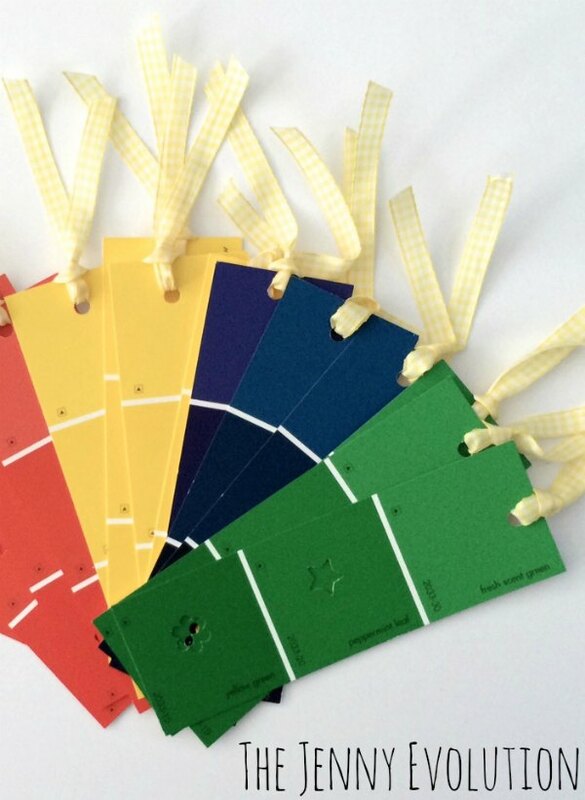 I love sprucing up the paint chips… and my kids always love giving them out as gifts. They were a hit for Valentine’s Day this year. What a seriously cute but simple idea! I read a ton (I’m an English teacher), and could really use them. Also, how fun would these be to make with your kids? My boys absolutely loved making these… almost as much as they loved handing them out to their classmates 🙂 Happy crafting! What a neat idea! I love it. Pinned. 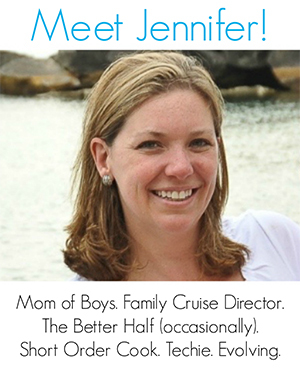 Would love it if you’d stop by my party this Wednesday to share this. In fact, this week’s is still open … come by now? 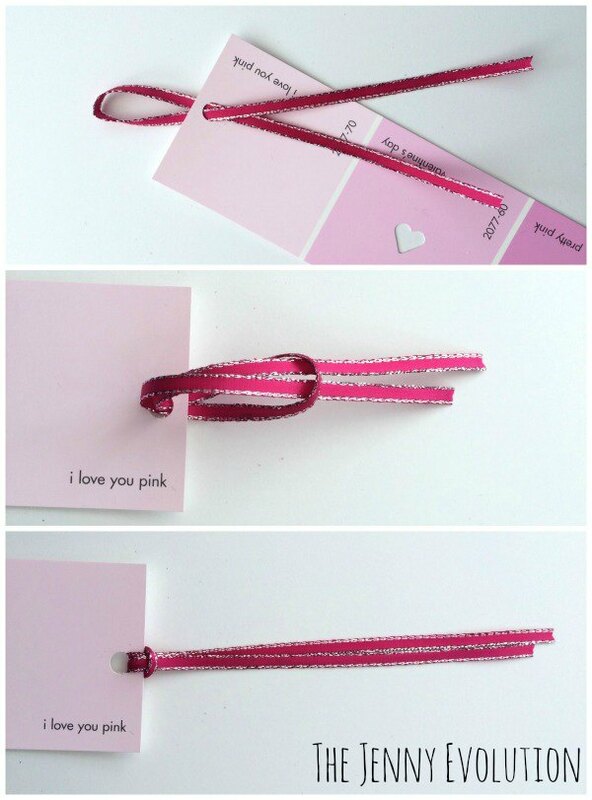 This is such a cute idea and would be great for the bookmark fundraiser at my kids school! I am so glad you shared this at #HomeMattersParty if you had not I would have never found this. I really love this idea because I am an avid reader and never have enough book marks. I never would have though of this though. They are cute and reusing is such a good idea. We love making these at the holidays… and then I use them throughout the whole year. Have fun! Thanks for the fun inclusion! And what a great idea to rate them by difficult. I definitely believe in keeping things simple and easy so everyone can participate 🙂 Be sure to come back every Friday to participate in my weekly linky party — Friday Flash Blog. How simple but lovely! I’ve got to get me some of those paint chip strips! I still use the original one my son made with me…. I love it! And we love handing them out every year for Valentine’s Day. Love the way you made this bookmark. So awesome. Thanks for sharing such great DIY project.